"I am not afraid to die. That is my job. "—A faceless worker said. The magnitude 9.0 earthquake on March 11 in Japan raises a worldwide concern. The damages caused by this disaster spiked to unprecedented levels after the nuclear power plant leakage. In the most danger’s time, 50 plant workers risk their lives to make the last defense at troubled Fukushima nuclear power plant. Experts refer to nuclear safeguards, which 50 people for a long time to work in conditions of strong radiation, of which 70% of the staff may be dead within 2 weeks. 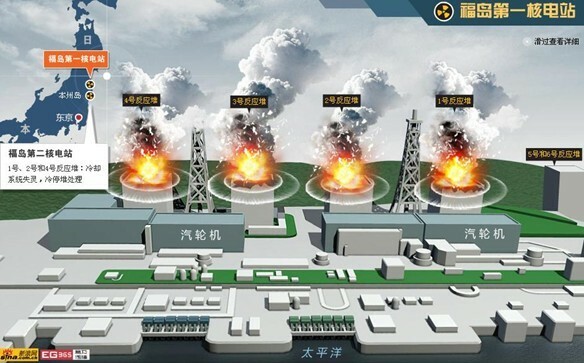 On the morning of March 16, the second explosion at Reactor No.1 of Fukushima nuclear plant occurred ensuing meltdown. The 50 workers were assigned to evacuate, but as the radiation levels decreased, they went back to nuclear plant, risking their lives to cool down the reactor by pumping water from the sea directly into it. They’re also equipped with state-of-the-art gear designed to protect them from exposure -- but those are weak safeguards against high levels of radiation exposure. The selfless workers not afraid of death have won the precious time for other rescue operations. The Tokyo Electric Company has not provided their names. Media and netizens call them the Fukushima 50. Men of Sacrifice, who dare to die. We never lack true man of sacrifice in the danger’s time. They are the back which ensures the being of mankind. In 1986, the Chernobyl reactor blew up in Ukraine. A monument has been erected in Chernobyl to memorize the firemen who lost their lives in this disaster. It says "For those who saved the world..." The same words are for the 50 selfless workers. 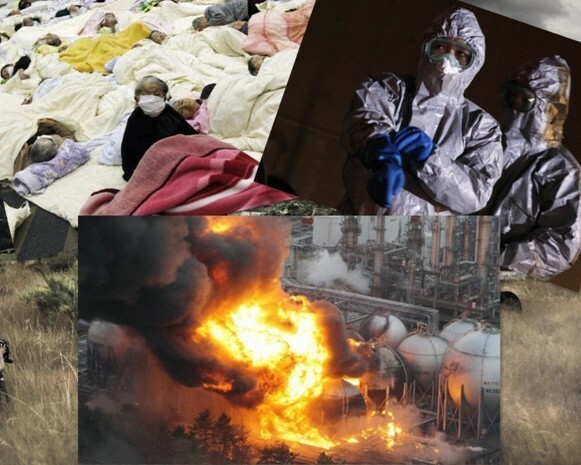 What the Fukushima 50 defends is not only the Japanese nation’s safety, but also for all mankind. They risk their lives in exchange for miracle that all people escape the reactor explosion disaster. The unexpected disaster brought miserable and dark timer but the brilliance of humanity in difficult situations can always bring us light and onward impulses. The selfless spirit and love showed by the 50 heroic figures has touched everyone in the world. The toughness of life and brilliance of humanity showed up in the disaster are more striking that disaster itself. The Fukushima 50 has got high praise after being reported. People speak highly of their heroic behavior. The 50 workers have no time to accept any interview or give any reply, only telling their families that this was their job, and that they were ready to scarify for people’s safety. "We are not afraid to die, this is our job." A worker said. We do not hear any heroic utterance or passionate words, but simple words like mission, responsibility and job. A 59-year-old veteran is willing to use his own life in exchange for more security. With six months to retire, he can take on the high pension, endowment turn to the life, but he said the "sense of mission to make this decision yourself". The sense of mission, which appears quite normal, is actually such a simple concept realizing true magnificent feat and heroes. They know what they are doing. They know what they are facing. Columbia University Radiological Research Center, David said: "Their situation is not good, obviously they will face high levels of radiation contamination, and to that end their lives. They know this, so these people are the real heroes." "I would not regret dying for it a thousand times," for the mission, for the sense of mission. Since the Japan 9.0-magntitude earthquake occurred, all ZENITH employees pay close to the situation trends. The brave decision and selfless brave of Fukushima 50 have touched ZENITHers and won their respect. One employee said the heroic behavior seems too far away from us, but the dedication, selfless, sense of mission and commitment showed up really exist in our life. The group president has decided to donate 10 000 dollars to the Fukushima 50. It is not a large amount of money. The donation is not for anything else but expressing our respect to the heroes and our belief in borderless love. This love is a kind of universal love, a value that all ZENITHers comply with. There are different explanations for love. In the face of disaster, human beings are an entirety. In this case, love is a sympathetic concern and support, a respect to life and responsibility to work without any national, historic or territorial border, and a universal love inspired by the mission of the future.